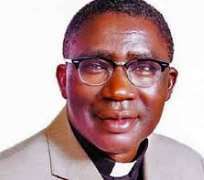 THE General Secretary, Christian Association of Nigeria, CAN, Musa Asake, is dead. Although details of the death are still sketchy, our correspondent learnt that he died on Friday morning (today) in Abuja after an illness. His brother and former member of the House of Representatives, Jonathan Asake, confirmed the death in an interview with The PUNCH. “Yes, he died this morning. We are right now in the mortuary. I was with him yesterday (Thursday) in his house”, he stated.